Master bicycle maintenance and save money! This guide is the ultimate companion for any daily cyclists who wants to maintain their bike within a budget. Divided into 10 clear sections on how to maintain both road and mountain bikes, and covering essentials such as drivetrain, gears, tyres, brakes and suspension, this guide has it all! Moreover, through featuring clear, step-by-step photographs demonstrating the techniques, the advice is accessible whatever your technical ability. Be the first person to tell us what you think about The Ultimate Guide to Bicycle Maintenance and you'll save $5 on your next purchase! 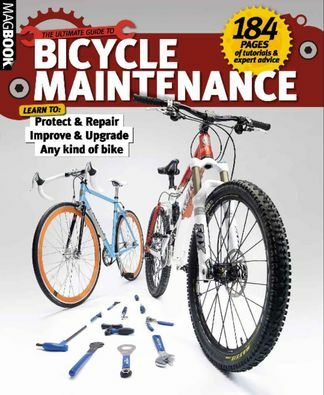 https://www.isubscribe.com.au/the-ultimate-guide-to-bicycle-maintenance-digital-subscription.cfm 38193 The Ultimate Guide to Bicycle Maintenance https://www.isubscribe.com.au/images/covers/au/5254/38193/square/TheUltimateGuidetoBicycleMaint1916104737.jpg AUD InStock /Digital/Sports/Cycling Master bicycle maintenance and save money!